A dainty trinket for hiding precious keepsakes and delicate items of jewellery. 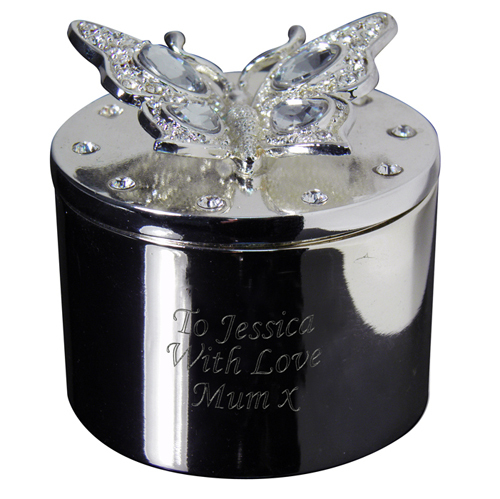 The front of the Silver plated butterfly trinket can be personalised with any message of your choice over 3 lines and up to 20 characters per line. The inside of the trinket is cream velvet lined. Personalise with any message of your choice over 3 lines and up to 20 characters per line.